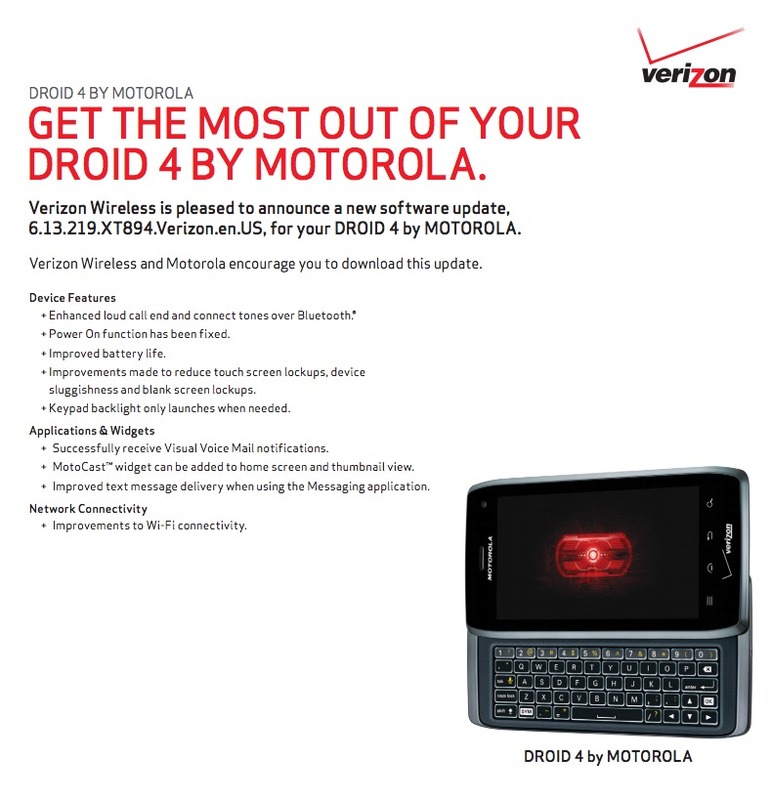 The RAZR and RAZR MAXX are not the only Motorola phones receiving love on the update front this week. The DROID 4 is set to receive its first since launch, bringing the phone up to build 6.13.219. Included in the update is a new MotoCast widget, improved battery life, keyboard backlight fixes, and better WiFi connectivity. It’s not Ice Cream Sandwich, but none of Moto’s phones are receiving that just yet. When these changelogs go live, we usually see the update start to rollout within the next week. Let us know if you see it! Update: We have the file available for flashing here. The update is 18MB in size. More info.